Students will gain an appreciation for the characteristics of Forest life and develop a relationship with a local ecosystem. Biodiversity – The variety of life in all its forms and levels of organization. Biodiversity refers to diversity of genetics, species, ecosystems and landscapes. [highlight]Canopy[/highlight] – The continuous cover formed by tree crowns in a forest. [highlight]Community[/highlight] – A collection of living organisms thriving in an organized system through which water, energy and nutrients cycle. Crown – The uppermost branches and foliage of a tree. Ecosystem – Organisms and the physical factors that make up their environment. 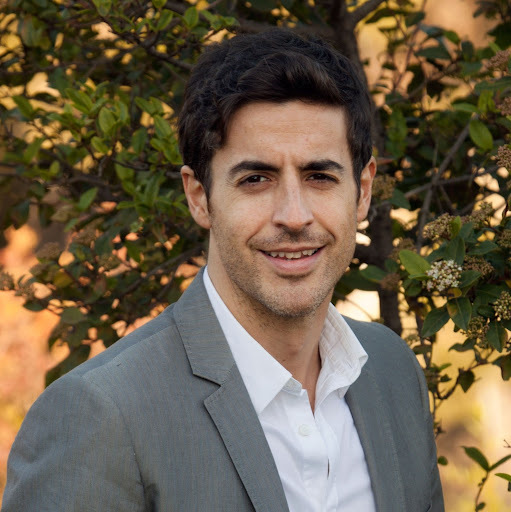 Succession – The natural replacement of one plant (or animal) community by another over time in the absence of disturbance. Understory – The level of forest vegetation beneath the canopy. Scientific log-style notebook and pencil/pen for each student. Ask students questions (written on blackboard) about their experience in the woods/forest. Who has been on a walk in the woods? What are the names of some things you would see in the woods? Where are the woods you have explored in the past? What are your favorite things about the woods? There are many levels of life in the woods. You can see and learn something new each time you spend time with nature. In this lesson, we will commune with nature and keep a journal of how a walk in the woods affects all five senses. Introduce students to concept of maintaining a nature journal to describe the walk they will take in the woods. Ask students to jot down answers to the introductory questions in their journals. Review relevant vocabulary with students as they record the definitions in the front of their nature journals. Allow students the opportunity to feel a collection of items pulled from the woods. Distribute paper and crayons so students can perform rubbings of items of interest to add to their nature book. Nature journals, magnifying glasses, handkerchiefs, first aid kit. se their nature books to record observations and questions about the nature life around them. Collect interesting “specimen” from the forest floor  (no live animals or live plants allowed – could be useful to set a limit to the most interesting or unique objects they can find). keep a watch out for any vocabulary words in the environment around them. As you lead students through the forest/woods/natural area, point out elements of the environment that came up in classroom activities, specifically emphasizing relevant vocabulary, local plant or animal species and the diversity of life that exists around them. Encourage students to brainstorm what life may have been like before the commodities of the present day, and how their ancestors may have utilized natural resources to build shelter, find food and make music. Give students a minute to jot down as many different types of trees/animals/flowers they can spot while sitting in one place. Follow up to emphasize the wide diversity of plant and animal life that exists in a 360-degree radius of the group. Encourage imaginative thinking regarding the diversity of life that may have existed prior to urbanization. After returning to the classroom, allow students the opportunity to make rubbings of the elements they collected from the walk (older students should investigate the species/genus of the plant or animal). Each student should prepare a report, poster or story about their selected item to share with the class or turn in for a grade. Ask students to specifically address the role the item plays in its community and what their own community can do to ensure that the specimen has a chance to continue to thrive in its natural habitat. Compile a journal of the class’ collective journal entries and keep in the classroom for reference and class enjoyment. Lesson plan adopted from PowerPoint presentation available at University of Hawaii. Lesson Plan A refers to a younger target age range; Lesson Plan B aims to reach grades 7-10. For additional vocabulary regarding forest life, see http://www.dnr.state.md.us/forests/gloss.html (all vocabulary referenced herein incorporate definitions from this page). See YouTube video by Bill Nye on Biodiversity (run time 22:00 min. ), available at https://www.youtube.com/watch?v=iFeRFmqFChQ. 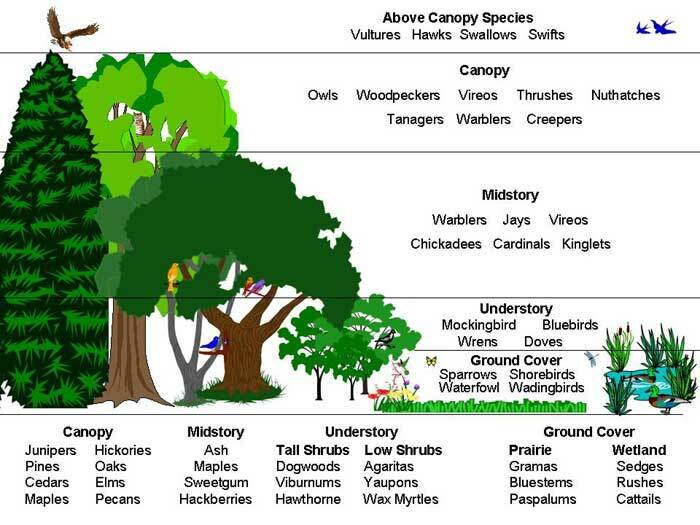 Project or hand out this image depicting forest canopy layers and animals that habitat each layer: http://forestnation.com/wp-content/uploads/2014/05/bird_canopy_layers7001.jpg. If a walk in the woods is not feasible, a virtual walk in the woods can be taken as well. In this instance, use a projector screen to show the following video, http://urbanext.illinois.edu/woods/index.cfm (University of Illinois). 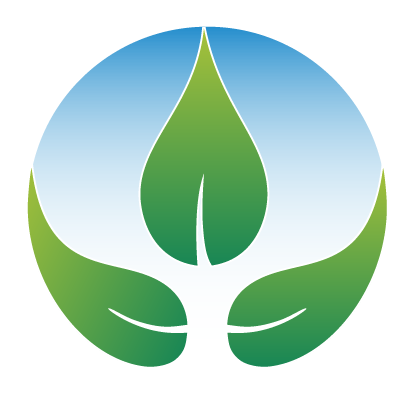 Alternatively, if a computer lab is available, each student can embark on his own nature walk independently by logging on to this page. Referenced exercise extracted from http://www.montessori.org/imc/index.php?option=com_content&view=article&id=123:gutierrez-science-for-everyday-nature-walk&catid=84:casa&Itemid=73. Referenced activity extracted from http://lessonplanspage.com/scienceforestecologyhumaninteractions34-htm/.